Gary has to have the busiest pontoon that I have ever seen. 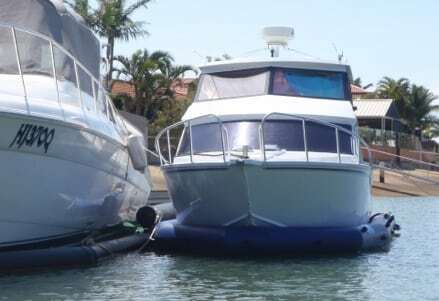 With a tinny on a hoist on one side, a drive-on jet ski dock on the other side, two canoes in racks on each side of the walkway, a 38 foot Riviera in an old dry dock system and now his offshore fishing boat in a brand new FAB Dock. The only complaint that Gary had was that we weren’t around a year ago so that we could have saved him nearly $20 000 on dry docking his Riv. Each Fab Dock is tailored made for each boat to make berthing easier, hold the boat more secure and minimise the amount of water to pump out. 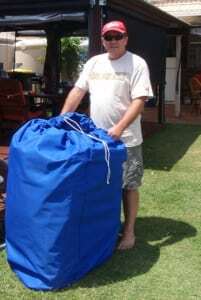 Each Fab Dock arrives in its own sturdy carry bag in case you ever want to move or sell your boat in the future.